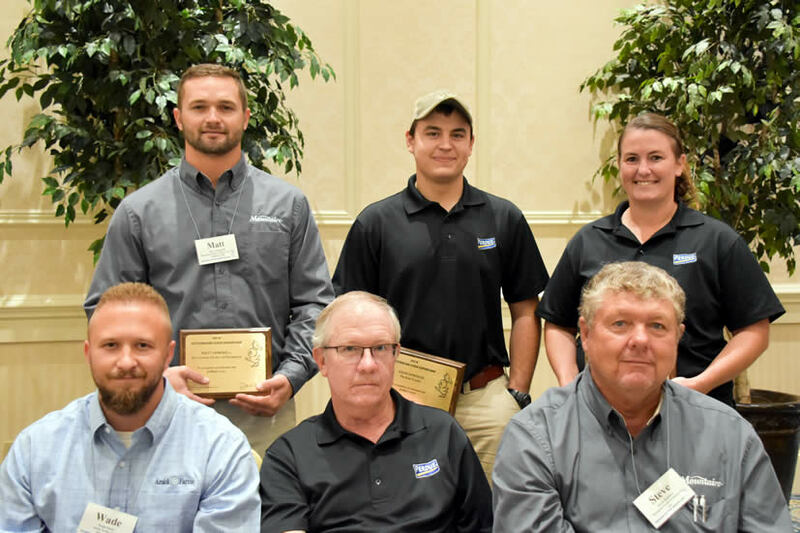 At Delmarva Poultry Industry, Inc.'s (DPI) 53rd National Meeting on Poultry Health, Processing, and Live Production, eight flock supervisors from Delmarva's five chicken companies received Outstanding Flock Supervisor awards. DPI hosted the meeting Oct. 8-10 at the Clarion Resort Fontainebleau Hotel in Ocean City, Maryland. "Flock supervisors have increasingly difficult and complex jobs," said Todd Baker, DPI president – and a past recipient of an Outstanding Flock Supervisor award. "You walk the fine line between working for the company and building relationships with your growers. Many growers look to you as a friend. And you are doing all of this while dealing with the company's needs that reflect consumer demand." "Flock supervisors make critical connections between a chicken company and a family farmer," said Bill Satterfield, DPI's executive director. "We're proud of these eight honorees, who do important work for the whole chicken community."